Welcome to a sunny spring day. 🙂 I just want to curl up in the puddles of sunshine like a cat. However, I will be sure to get out today and enjoy this weather! My new editorial calendar is all set up for the next few weeks, and I’m excited about this . Essentially, I’m working with Trello for my calendar. It’s a flow where I have my ideas column, then every step in between. This way I keep all my projects organized and I have a sense of what’s going where, when. It also means that this site and my author site (please follow!) will have regular, high-quality content being posted. That’s exciting! Some of the topics coming up are: a tour of my office; confession 101; my writing process, and Jane Austen’s views on marriage. It’s Donate Life month, y’all. As you know, I am a big supporter of organ donation, because without it, I’m not here. Really. I would’ve been dead before my twenty-fourth birthday. That’s pretty sobering stuff. There are more than 123,000 people on the waiting list for an organ donor. That’s more than the amount of people that can fit inside Ohio Stadium during an OSU game. 21 people die each day waiting for an organ–when I received my lungs, that number was 18. To find out more about organ donation, go here. And please consider being an organ donor. I’ve had an entire decade of life I would not have gotten otherwise, thanks to my donor. I’m reading Ivanhoe right now, and I’m more than 60% done with it. I have to ask–Why is it called Ivanhoe? Because he’s barely been involved at all. I’m teaching the CCD kids about the Ascension this week. Since we covered the Assumption last week, they should be OK with this. We’re also throwing in a dash of apostolic succession, because, why not? 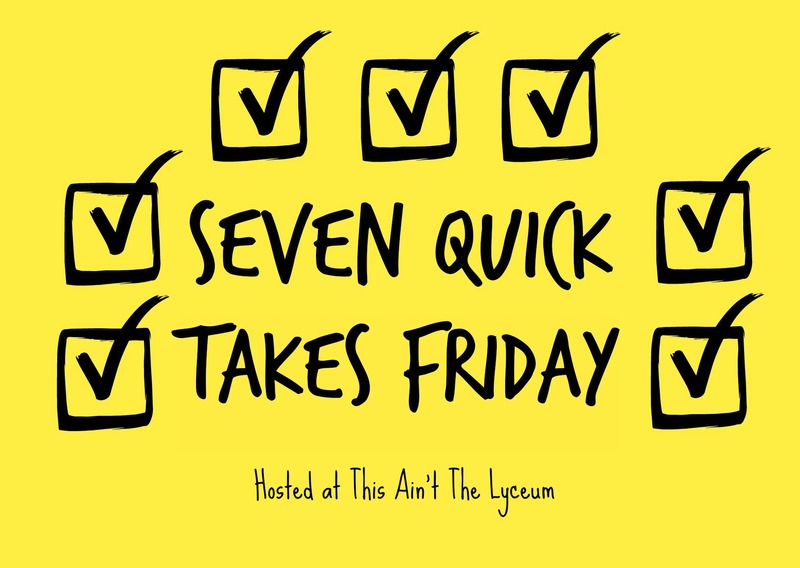 This entry was posted in Jane Austen, Seven Quick Takes, video and tagged books, health, Jane, Seven Quick Takes Friday, writing. Bookmark the permalink.